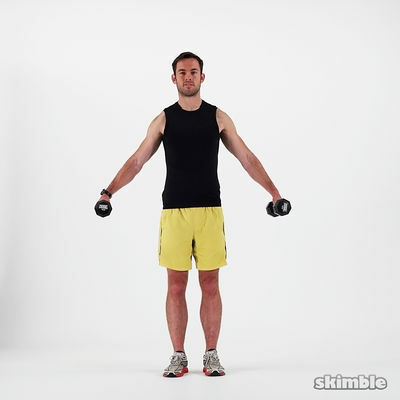 Arms, shoulders, abs --- use moderate controllable weight for all exercises. Employ 3 second eccentric contractions and 1.5 rep principle (all the way down, come back up half way, go down again, then all the way up. Thats 1 rep) last set of each exercise.